Thankfully, the weather was kind for mid-February and daylight saving afforded the late finishes and early starts required. A well-placed gazebo, pictured, produced a festive atmosphere as well as shelter. The court surface cover of Santa Ana is now as good as any, and players commented on its improvement, but agreed there was still a challenge. Some good scores were achieved, notably 2 pegouts in Division 2: one by Roger Lee (Brighton) and the other by Paul Lund (Williamstown). The clubroom buzzed with friendly chatter during lunch breaks. These provided a welcome interlude in which to socialise and enjoy the club's excellent catering . A new addition to the format, a "Pizza and Pavlova evening" on the patio, was well received by players of the day and some members. These days, Tournament Managers are well aware of the high demand for, but short supply of referees. This occasion was no exception. 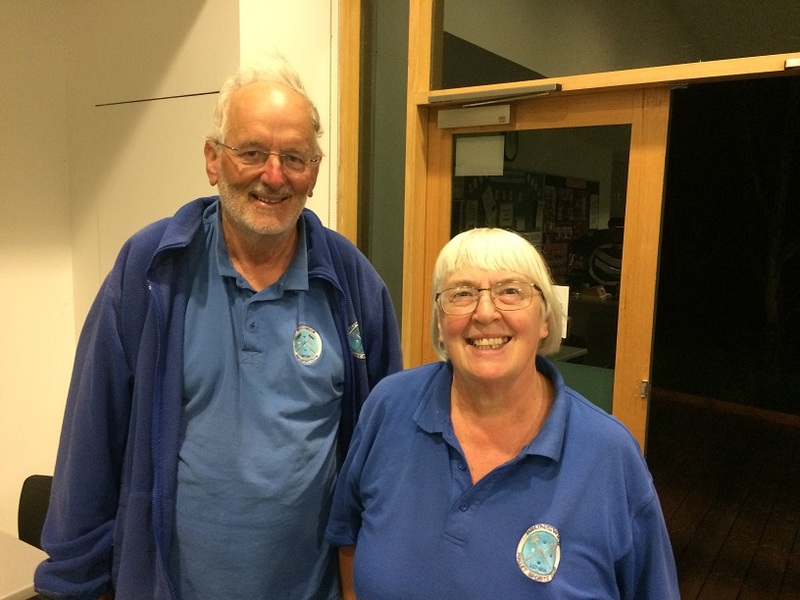 The Club is fortunate to have had again, the assistance of Liz Duff and Jan Watts, both from the M.C.C., and is forever indebted and thankful for their ongoing, staunch support. Many thanks to players for their participation in keeping Association Competition alive at Club level and for the cameraderie shown in willingness to assist members with court management. Hope to see you all next year. Thanks also to Club members for maintaining Monash's reputation as fine hosts and caterers. There were close contenders in all divisions as shown on Croquetscores. 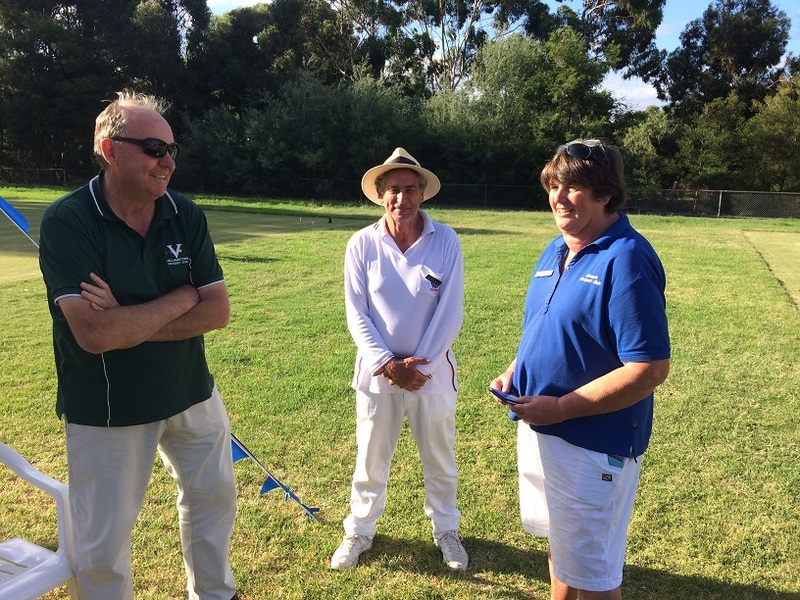 Paul Lund (left) with Wayne Lewis and Kaye Molyneux (president Monash CC). Kate Patrick (winner Div 4) and Mark Wilson (runner up Div 3), both Brunswick. The annual GVCA open GC singles tournament was hosted by the Rich River Croquet Club on 14 and 15 February. Twenty-nine players from eleven clubs competed on Day One in very trying, windy conditions. Day Two weather was almost perfect. Overall we saw some great croquet in all divisions, with some very close results.